It’s been a long time since life has been normal. Chaos can make me a tiny bit anxious, and there’s just been so much of it lately. There’s a hope of stability just around the corner. I’m so ready to settle in and make a home again. It will be slow going, what with an empty kitchen and all, but I can already picture myself in the apartment, welcoming guests and creating memories. It’s gonna be awesome. One of the biggest challenges is keeping your life confined to five suitcases. I could run out and buy and bunch of new stuff, but where would I put it all? I’ve had to challenge myself to work with what is immediately available to me. So instead of creating a new recipe that starts with buying a bunch of new ingredients, I raided my SIL’s liquor cabinet and made you something sweet and refreshing. Totally cheeky or totally brilliant? I’ll let you decide. This drink is simple. Combine a shot of amaretto with a shot of orange juice in the bottom of a pint glass. You can add in a splash of something else like cinnamon schnapps or, in my case, just a dash of mead for a bit of extra flavor. 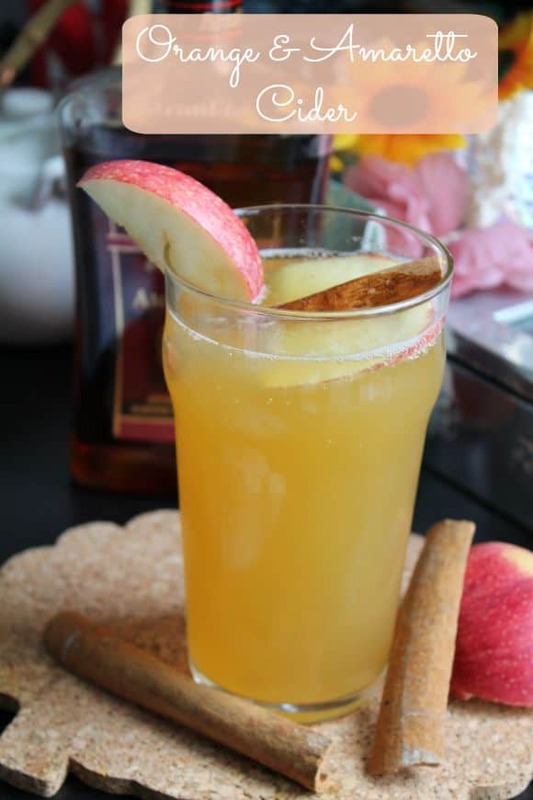 Then fill your glass with your favorite crisp hard cider. We used a can of Strongbow. 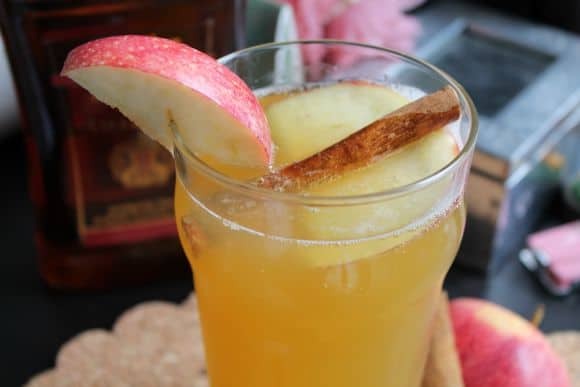 If you want to add some autumn whimsy garnish it with apple slices and a cinnamon stick, preferably bought at the Asian market where you can get mountains of spices for practically nothing. I said it would be awesome, I never said it would be easy. But I don’t really see the point in sitting around whining about being technically homeless and unemployed. Instead, I’ll fix myself a drink, throw on a scarf and some cute boots, and love my life. Want to join me? 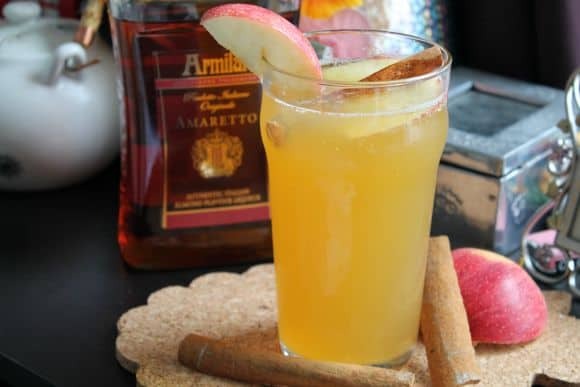 Sweet, nutty, and crisp, Orange & Amaretto Cider is getting me into Fall in a major way. Stir together amaretto, orange juice, and mead in a tall glass. Fill with your favorite cider and garnish how you like. Drink until your stress is gone.